Christchurch’s energy is evident wherever you go. The city has bounced back after the earthquakes of 2010 and 2011 and is now thriving once again. Contemporary art galleries, boutiques and open-air markets add to the city’s creative vibe. Meet your Travel Director and fellow travelers this evening for a Welcome Reception. Visit the home of Angie and Stan Taylor for a Be My Guest barbecue lunch and hear about a lifetime spent farming in New Zealand. 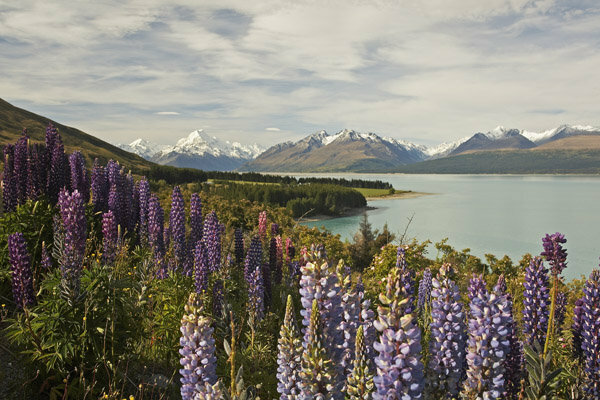 This afternoon see Lakes Tekapo and Pukaki, and view the famed Church of the Good Shepherd with its alter window framing stunning views of the lake and surrounding mountains. 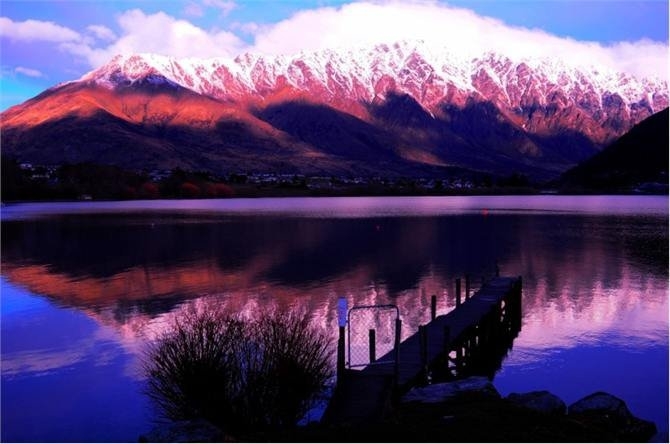 Continue to Twizel, a base for mountain climbing, kayaking, mountain biking, skiing, horse trekking and hiking. This morning after breakfast, visit the spectacular Waitaki Hydro Power Scheme, a series of interconnected lakes and canals used to generate electricity on the Waitaki River, New Zealand’s longest. See the monumental spillway of the Benmore Dam before exploring the historic town of Oamaru, with its stately tree-lined streets and white limestone buildings. Then you’ll make your way to New Zealand’s southernmost city, Dunedin, home to many fine examples of Victorian and Edwardian architecture. Designated by UNESCO as a City of Literature, Dunedin is a magnificent example of a small city that lives, breathes and connects through its people, its culture and its intense love of literature. It is well known as a university town of excellence in research and learning, and a city where writers, books and literature thrive. With the rest of your afternoon at leisure, relax and unwind or join an optional experience to see more of the region. This afternoon choose one from a range of Included Choice sightseeing experiences. Tour imposing Larnach Castle, ride the historic Taieri Gorge railway, take a wildlife cruise or experience an interactive tour of famous Speight’s Brewery. 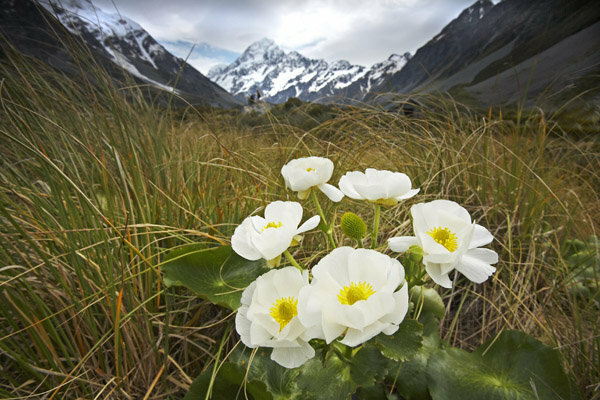 Today, travel through lush green sheep-grazing country on your way to the spectacular Fiordland National Park and the town of Te Anau, nestled in the southwestern corner of the South Island. Tonight, enjoy dinner at your hotel. Today choose one from a range of Included Choice sightseeing experiences. 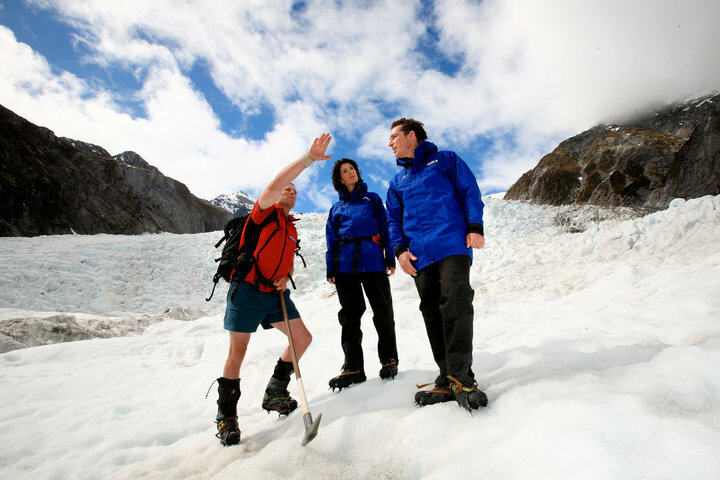 If you’re feeling energetic you have the option to ride the exhilarating Shotover Jet boat or take a gondola to Bob’s Peak for thrilling luge rides. For the more laid-back, a 4WD minibus tour will take you through spectacular Skippers Canyon. 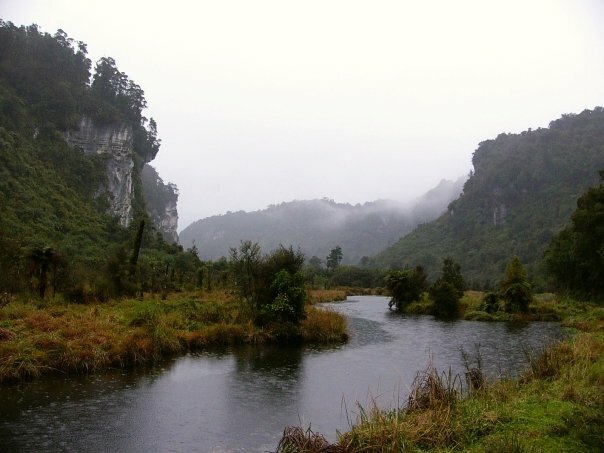 Then visit the Kiwi Birdlife Park, where a zoologist will introduce you to some amazing animals. After an action-packed day, settle into a peaceful cruise this evening across Lake Wakatipu aboard the iconic vintage steamship TSS Earnslaw to Walter Peak High Country Farm for a gourmet barbecue Highlight Dinner and an entertaining farm show. Your destination today is the wild west coast of the South Island. 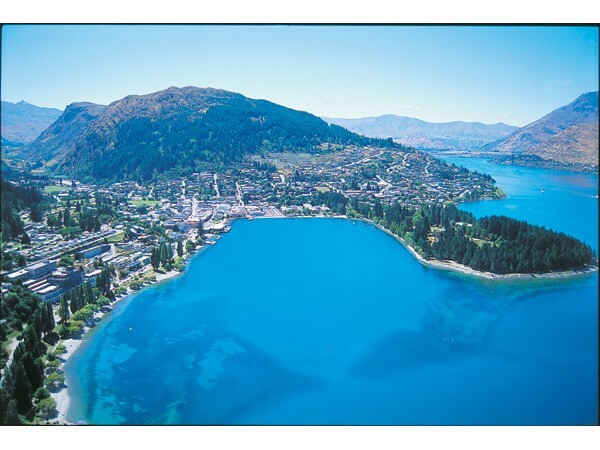 Stop to visit the faithfully-restored gold mining settlement of Arrowtown, where the gold-rush era lives on in the preserved architecture lining the town, and enjoy the serenity of the region’s vivid blue lakes, the most famous of which is pristine Lake Wanaka. 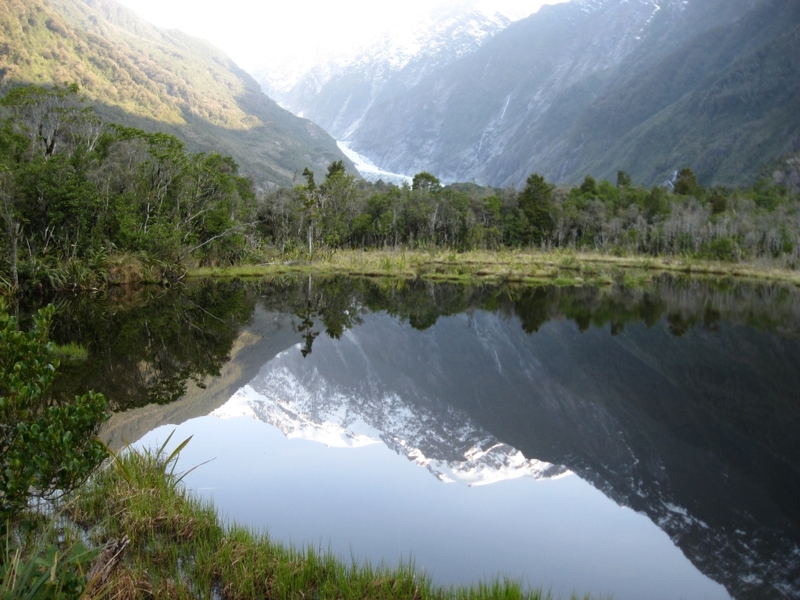 Drive over the spectacular Haast Pass, passing the 96-metre Thunder Creek Falls on your way to the extraordinary Franz Josef Glacier. Explore the glacier this morning, then spend some time amongst temperate rainforest giants on the West Coast Treetop Walkway. 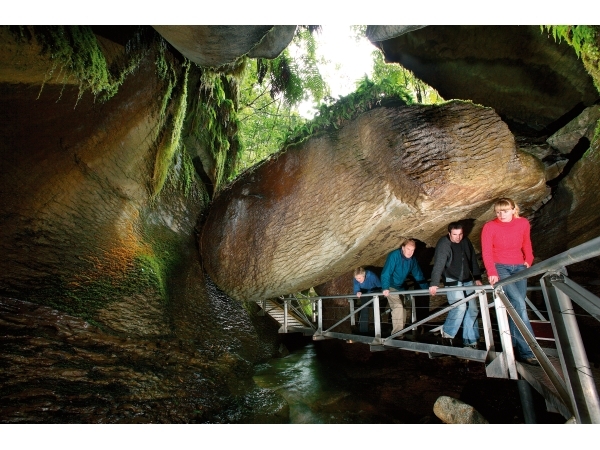 Travel on to Hokitika, home of New Zealand’s famous greenstone. Pounamu (its Māori name) is of great cultural significance in Māori culture and was prized for its strength, durability and beauty. 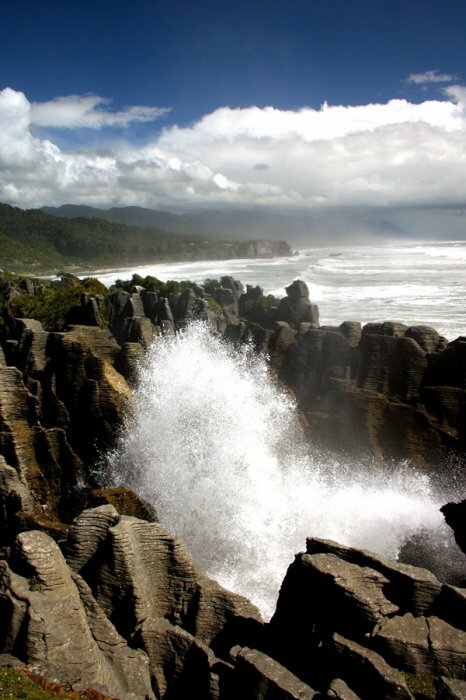 Continue to Punakaiki to view the intriguing Pancake Rocks and Blowholes. You’ll spend the night in an eco-friendly resort right on the waterfront. Join your personal guide for a tour of Monteith’s Brewing Company, including tastings at the brewers’ table, before sitting down to lunch. 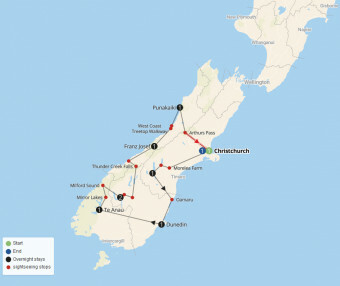 Afterwards, board the iconic TranzAlpine train in the village of Arthur’s Pass this morning and embark on one of the world’s great train journeys, passing through magnificent landscapes ranging from the fertile farmlands of the Canterbury Plains to rugged gorges and pristine ice-fed streams and lakes. The train forges through tunnels and over viaducts with panoramic views of snow-capped peaks, towering beech forests and lush river valleys. 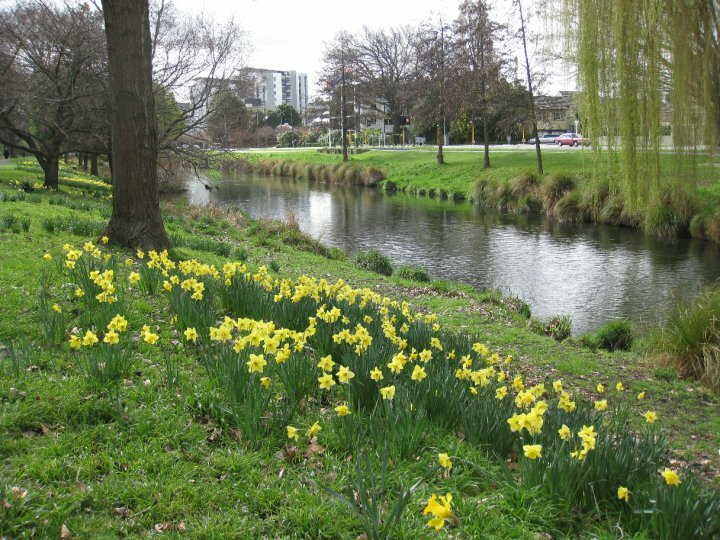 Back in Christchurch, join your Travel Director for a Farewell Dinner.